Mrs. Doubtfire. . Wallpaper and background images in the Mrs Doubtfire club tagged: mrs doubtfire robin williams matthew lawrence lisa jakub mara wilson. 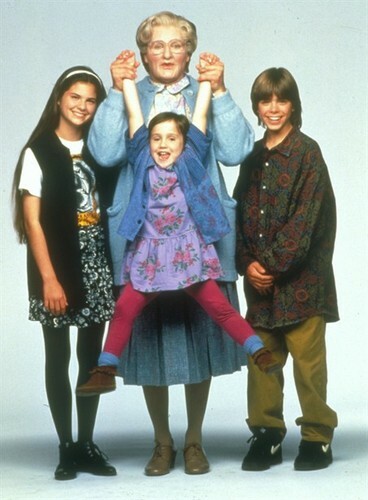 This Mrs Doubtfire photo might contain hip boot, thigh boot, prendas de vestir exteriores, overclothes, prendas de abrigo, ropa de abrigo, manchó, abrigo de la caja, and caja de capa.